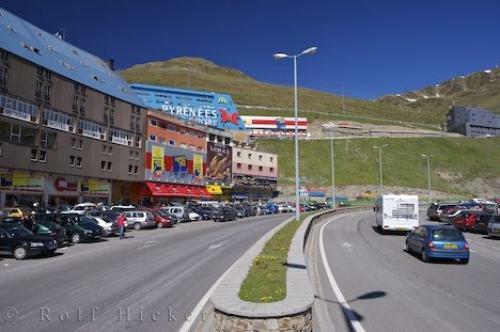 Border town of the Principality of Andorra Pas de la Casa in Europe welcomes shoppers at the duty free stores. Photo of duty free stores in Pas de la Casa in Andorra, Europe. ... Be sure to check it out as you will be amazed at the prices of things. Duty free shopping at Pas de la Casa, Principat d'Andorra, Principality of Andorra, Pyrenees, Europe. I photographed this photo with the digital SLR camera model Canon EOS-1Ds Mark II, aperture of f/8.0, exposure time of 1/125 sec. on ISO 100, as always I used a original Canon Lens, the focus lenght for this picture was 24mm.